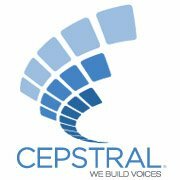 Cepstral Community • View topic - Invalid License entered for Lawrence voice. Invalid License entered for Lawrence voice. Having trouble entering your license key(s)? Hello I recently purchased Lawrence Personal for Windows. I downloaded and installed it like it was explained in the cepstral support sections. I then received the information on my email and copy -> pasted the information in, but it will not activate. my name has alot of foreign characters my name is "Håkon Øvergård" as i entered in the name fields when ordering. when i recieved my information my login or user name had this name H�kon �verg�rd. does this affect the license? Re: Invalid License entered for Lawrence voice. Sorry to hear that you are having problems. This is a result in a bug in our licensing engine that encodes characters that are not part of the ISO/IEC 8859-1 character set incorrectly. I actually have a fix for the bug already completed, but unfortunately, other parts of the system have to be updated before it can be deployed. Our temporary solution until the new updated code is in place is to resend license keys with your name slightly altered to avoid use of the characters that are causing the problem. So for those who run into this problem in the future, please feel free to send us a ticket ( http://www.cepstral.com/support/ticketing ) and I will happily send you new license keys. Be sure to provide your order number and the email you would like the new keys sent to. Once again, sorry for the confusion and inconvenience.